This beauty is a beast! Don't let the bows fool you, cheerleaders are FIERCE. 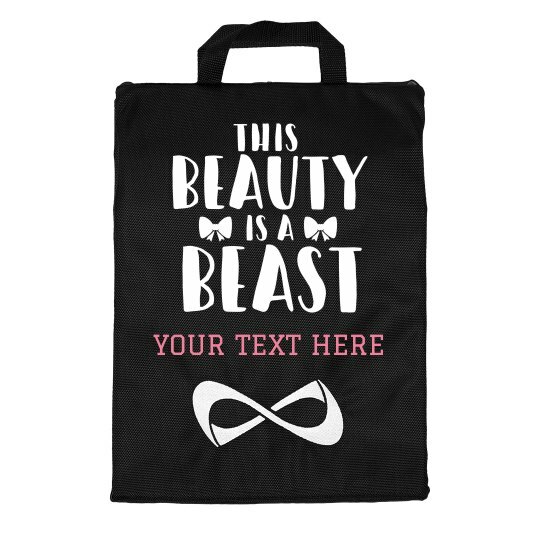 Customize this awesome uniformer bag to take with you to cheer competitions and conventions. Personalize it by adding your own text to show your team pride!